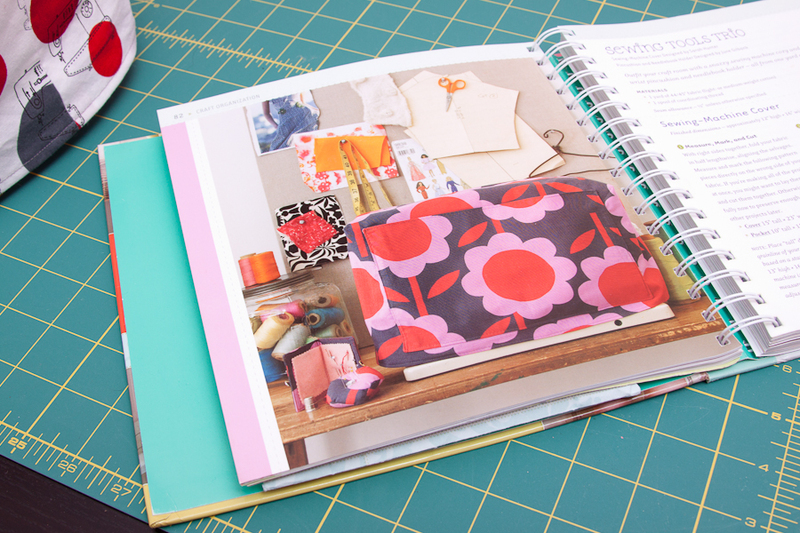 When I took my Pattern Reading class at the West Seattle Fabric Company, I picked up a book called One-Yard Wonders: 101 Sewing Fabric Projects. All the projects in it are super cute and come with great instructions and patterns, so they look doable for a beginner like me. I figured this book would be a great way to get some practice at different sewing techniques and make some cool stuff at the same time. Plus, true to it’s name, all of the projects in the book require only one yard of fabric! 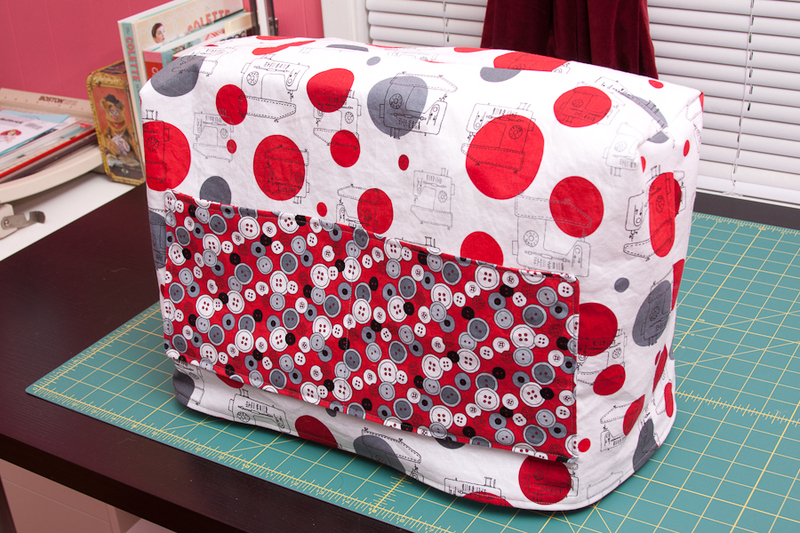 I needed a sewing machine cover, so I decided that would be the first project from the book I would do. Plus, I couldn’t resist the sewing machine and button print contrasting fabrics, that I found at West Seattle Fabric Company. I changed the dimensions a little bit, based on the size of my sewing machine and made the pocket a little shorter. I also stitched up the middle of the pocket, to divide it into two. It’s the first time I’ve made anything with a gusset, so that was something new I learned from this project. There is also a new Fabric-by-Fabric One-Yard Wonders, that I can’t wait to get. I think I need to make a few more projects in the first book though. Next project, oven mitt and hot pads! Cool fabric! I will learn to sew one of these days. I am glad they have classes there– been meaning to look into it! 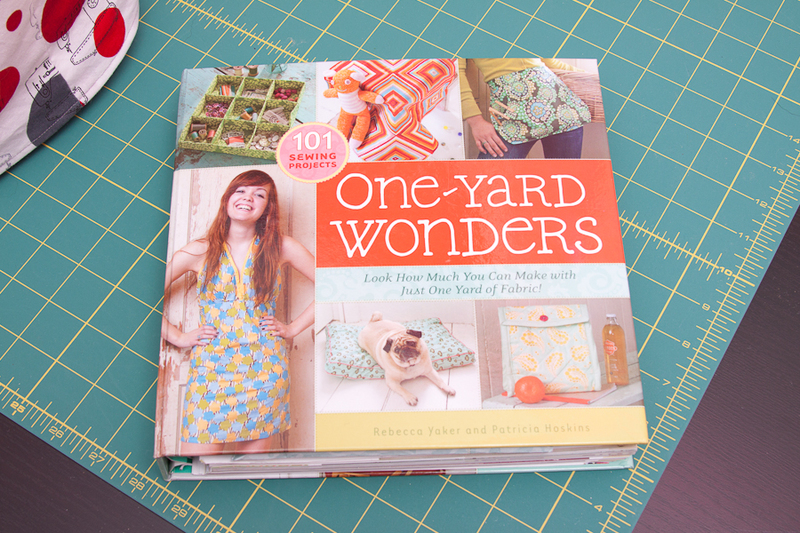 Hey – I have that Fabric-by-Fabric one yard wonders book. Just bought it – we can share and swap! I hope you will see this and be able to help. My machine is bigger then what it says in the book but im confussed on how to adjust the sizes. My machine is 20.55 L by 13.74 W by 15.91 H…how do I adjust for it when the pattern only calls for a Height and Width? Hi Amanda, this was so long ago, I’m trying to remember what I did. Looking at the pattern again, I remember that you only cut two pieces for the cover, because the way it’s sewn together, the top and sides form from the two pieces. In other words there are not separate pieces for the top and sides. Based on her machine dimensions, it looks like you need to add 2″ to your machines height and the width you need to cut should be the length plus the width plus one inch for the seam allowance. So for your dimensions I would cut approx. 18″ x 35.25″ (I rounded up, better to be too big than too small). Does that make sense? Thank you so much for your response. I didn’t even think that I would need to add my length and width together. Makes sense now. Thank you so much!